Back In The Gi » Blog Archive » The evolution of English (and of kata). The evolution of English (and of kata). Picture the scene. Two rap artists, one Canadian and the other British, engaged in a heated lyrical battle to decide once and for all whose version of English is correct. Of course, one could also include Australian, New Zealander, Irish, Scottish, and Welsh versions of English. Not to mention the various regional accents from throughout both North America and the United Kingdom. Which is “true” English? Which preserves the old form of English most faithfully? One might argue, as Prof. Elemental does in his lyrics, that “the Queen’s English” is the true version. Others might point out that today many more people speak English with a North American accent than the one used in Buckingham Palace. If you ask me, it’s a pointless debate. The history of the English language is very complex, having involved an enormous amount of change from its early Germanic roots, a major influx of words from other languages (especially French after 1066), a “great vowel shift” in pronunciation, and constant evolution of word usage and common slang. The point here is that all of the differences among modern accents are extremely minor when considered in the context of deeper English history. Moreover, all of those modern accents are far more similar to each other than any of them is to, say, Middle English. Indeed, Middle English and Old English are indecipherable to modern English speakers. And so I believe it is with kata. Yes, there are differences among schools within a given style. 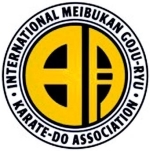 And yes, you can tell if someone is training in Okinawan or Japanese Goju-ryu or even in Meibukan vs. Jundokan Okinawan Goju-ryu, but these differences are very minor in the context of karate’s history. Most of the techniques, and even some entire kata, trace their origins back well before the rise of modern karate. Which is the “true” version of a particular kata? I don’t think we can say. All we can do is try to learn what has been passed down to us and to perform it as best we can given how we have been taught to do so. We should also try to avoid obviously sloppy versions, in the same way that you would not learn about English literature from someone with a thick, slang-ridden rural Texas accent. Terrible versions aside, I think the diversity of interpretations of kata enriches us as martial artists, in the same way that different accents do. Similarly, the existence of different styles of karate or different martial arts altogether makes the world a more interesting place, just like having many different languages does. After all, if it weren’t for the existence of distinct Germanic and Romance languages, there’d be no English at all.